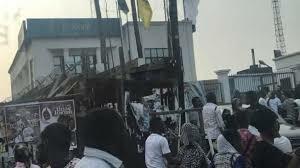 On April 5, 2018, a group of armed marauders numbering, at least, 30 attacked Union Bank, Eco Bank, Guaranty Trust Bank, First Bank, Zenith Bank and Ibolo Micro Finance Bank, as well as the Owode Police Station. They equally killed dozens including nine police officers. Outcries followed these killings with all sections of the society berating it. Following the attack, some salient issues were raised, some bothering on why the police didn't have any inclination of the incident and why nothing was done during the killing spree. Some facts arising from this killing are outlined below. 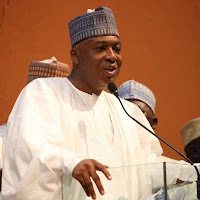 On 6th June, the Nigeria Police made a startling revelation when it provided some information backing its earlier claim that the President of Nigeria's Senate had connections with the Offa Robbery suspects. It was revealed that five of the suspects were at the wedding of the Senators daughter. As if that was not enough, it was also reported that the Senate President was accompanied by some of the robbers on his condolence visit to Offa. "The Force also said that investigations showed that three gang leaders who participated actively in the Offa bank robberies, Akinnibosun, Ibukunle Ogunleye aka Arrow and Adeola Abraham followed Dr Saraki to Oloffa’s Palace when he paid a condolence visit to Offa after the robberies", wrote The Nation Online. According to a report by Vanguard, the robbery could have been nipped in the bud, suspects duly arrested and police officers would have received praises. But it never happened that way. Noticing something odd about his guests, the proprietor of the hotel in which the robbers lodged, Kadir Surajudeen, invited the police to come to have a look. 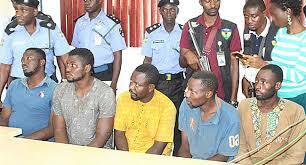 On arrival, rather than arrest the criminals, the police officers collected a bribe of N400,000. 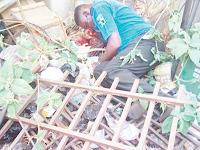 "It was not surprising that the robbers visited the police station the following day and killed about nine policemen in retaliation for collecting N400,000 from them," the source told Vanguard. At the end of the robbery and killings, it was reported that the marauders took more than 30 lives while the operation lasted. According to the newly appointed Commissioner of Police for Kwara State, Mr Aminu Saleh, this was as a result of intelligence break down. He said, “We had little information on the attack before it happened. However, we’re re-strategising and repositioning our men. We’re working on the community to ensure that those lapses we observed are addressed. 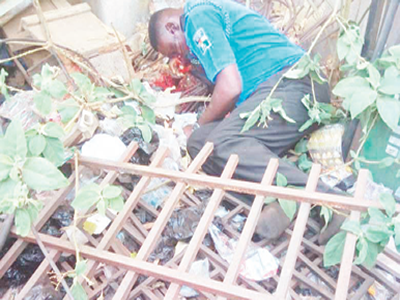 The armed robbers had paid visits to the city on some occasions to plan it properly. The operation took place during the day; the robbers were not in a hurry; they successfully sacked a police station before going to the banks... All this while phone calls must have been made; authorities contacted. But alas, they had a field day and went about the robbery like it was part of Nigeria's constitution. The operation lasted, according to reports, over an hour. A clear sign of the unpreparedness of the security personnel for occasions like this. Low morale, poor remuneration and ill-equipment are the major culprits. 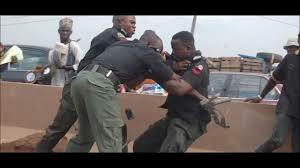 The average Nigerian police officer is hungry and ill-equipped and therefore not ready to tackle emergencies. Michael Adiku, leader of the gang confessed to being behind the death of more than 20 of those who died during the robbery. He used to be a policeman until he freed some robbers and was consequently dismissed and sent to prison. He confessed it was a revenge mission when he stepped into the police station and started gunning down policemen.